— both functionally and aesthetically. I walk into a space and look all around and take every design aspect in — sometimes in a quick scan and other times in a detailed examination — it is ingrained in me to love all things design. Throughout my 13 years as a designer, one thing has stayed constant and that’s my ability to connect with people and easily get a feel for how they live (or want to live). I am grateful for the relationships that I’ve built over the years with individuals and families who have welcomed me into their lives. I’ve worked on projects in Jackson Hole, Wyoming, Washington, D.C., Chicago and the Greater Denver area. I am so happy I hired Madeleine to help me with my remodel. Simply put, she made my house more beautiful than it ever could have been if I’d try to do it on my own. She found a way to have my style and personality reflected in the materials we chose, from the beautiful kitchen tile backsplash to the bathroom vanities to a fun, funky pendant lampshade. What I love most is how my whole house flows together now – Madeleine has an incredible eye for the multiple elements of a home. She’s as knowledgeable about cabinetry as she is about fabric. Plus she’s incredibly friendly, professional and personable. I can’t recommend her highly enough. I highly recommend Madeleine Krasnow for any home design needs. I met Madeleine when we needed to make some simple changes to our small, urban living room- where every choice matters, including some pivotal furniture pieces, a rug and art. Madeleine worked efficiently within our budget and made creative, thoughtful suggestions that stretched our natural aesthetic limits in the best possible way! Madeleine was a pleasure to work with- professional, a good listener, and flexible. I look forward to working with Madeleine again in the future! We purchased a 150-year-old home that needed to be entirely furnished in a short time frame. We faced the challenge of designing over eight rooms with all the quirks that come with a historical home and the challenges of having small children. Thank goodness we had Madeleine to guide us! 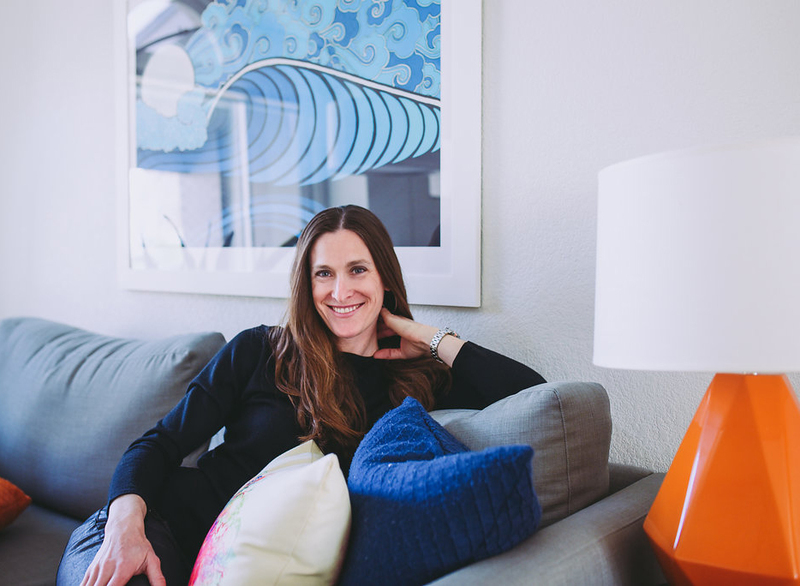 From designing a kitchen and bathrooms to selecting furniture and furnishings, Madeleine created rooms for our family that are both beautiful and functional. She took our home to a level of style that we often marvel at on a daily basis. Madeleine took the time to consider our taste preferences and family needs with two small children. She was also flexible with our budget. Madeleine was easily able to adjust her design to meet varying constraints throughout a long term project. She designed gorgeous formal rooms for entertaining, comfortable and stylish family rooms for daily living and playful and bright bedrooms for our children. You can’t ask for a more thoughtful and lovely person to work with in creating the best version of your home. Madeleine is an absolute delight to work with. She has guided my husband and me through several large design projects in our home. She quickly understood our taste and style and presented us with many choices for each room we remodeled. Not only did she assist us with purchasing furniture, but she also helped us choose various wall art and sculpture pieces, plants, and many accessories. The most difficult part of working with her is making choices between all of the beautiful alternatives she presents. We love everything, and the results are stunning. Our home now truly reflects our unique personalities. Madeleine is so easy to work with, has great vision and is a very creative talented designer. She was patient, prompt, attentive to every detail and reasonably priced. She made the process fun and almost easy. I recently had the pleasure of working with Madeleine. She exhibited professionalism, a deep knowledge of design, and listened to the needs of my family. We did a renovation and she completely overhauled my kitchen and a bathroom and did an incredible job. I love the finishes she presented as options for my kitchen countertops, cabinets, tile back splash, lighting, and gave great advice on so many little details related to our renovation from specific cabinet add-ons to appropriate materials to use so our kitchen would not only be beautiful, but functional, as well. The design works seamlessly with my open floor plan and my adjacent dining and living rooms. The bathroom is exactly what I was envisioning. She had a wealth of knowledge when it comes to bathroom materials, fixtures and general design. She worked closely with our general contractor and made the overall experience easy and pleasurable. It has been a delight working with Madeleine and she is now my go to designer! In addition to the renovation of my home, I used Madeleine Design to refresh our entryway and waiting area of a local nonprofit which I run . She understood the needs of our client and presented several options that were well under budget. We appreciate her cost effectiveness and her professionalism. Madeleine provided me spot on custom design ideas for updating our living spaces from entryway to family room and living room. She met with me in our home to walk through and outline objectives and offered immediate suggestions for simple changes that had high impact. Helping me pick paint colors and rugs, arrange art, and reconfigure existing pieces was an immense help. Then, to top it all off, she put together a proposal of recommended furniture options for each space-varied in style and finishes. She regularly kept in touch on progress and even came back to see results. Her expertise was invaluable and it was a ball to work with her. She is a thoughtful, talented and versatile designer who was extremely patient with my eclectic style and long-term design plan. I am so happy with the results! I would highly recommend her for projects big and small, and for a wide portfolio of design styles.